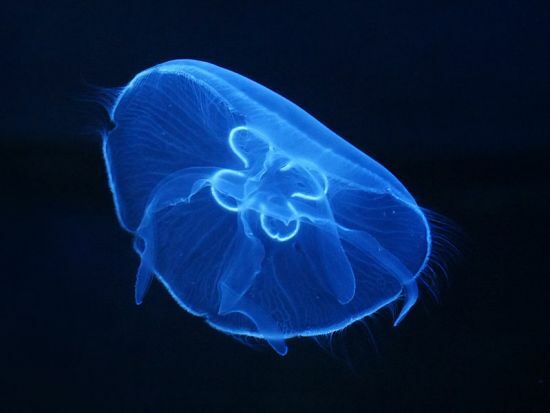 Moon Jellyfish (Aurelia aurita) photo by Hans Hillewaert. Courtesy of U.S.G.S. Egg-yolk jellyfish (Phacellophora camtschatica) photo by Steven G. Johnson. Lion's mane jellyfish (Cyanea capillata). Image courtesy of the U.S.G.S.